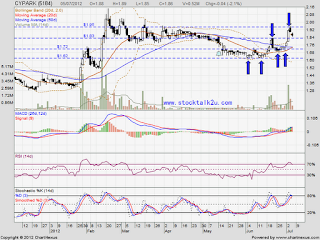 CYPARK retest RM1.83 support level. 2. Stochastic %K trigger SELL call, pending confirmation. As long as higher high & higher low is sustainable, uptrend will be continue. Subsequent support @ MA50 / MA20 level. 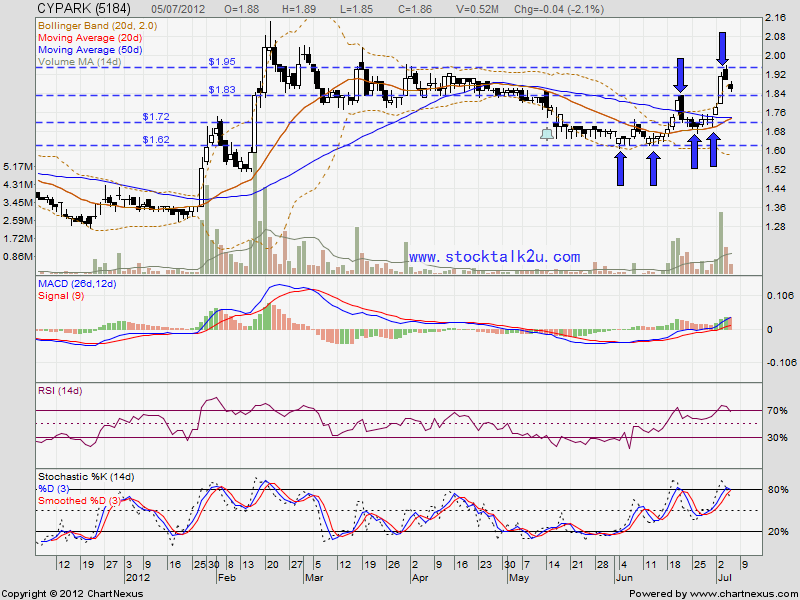 Subsequent resistance @ RM2.03 level.